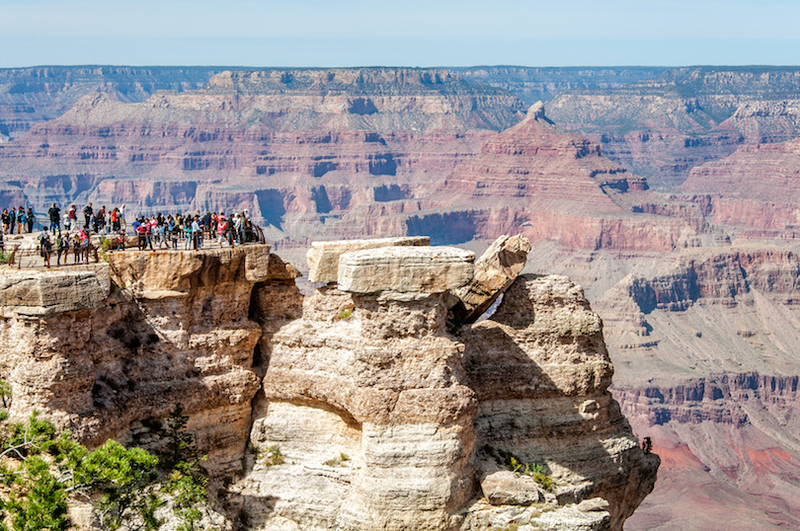 With a dazzling array of amazing sights on offer and jaw-dropping places to visit, Arizona’s desert climate is home to some astounding geological formations and canyons that are well worth exploring. The Grand Canyon, for example, is one of the United States’ most famous sights, while the impressive Monument Valley certainly gives it a run for its money. With Indian reservations making up almost a quarter of Arizona’s area, there are lots of interesting archaeological, historical and cultural sites relating to Native American culture for tourists to enjoy. 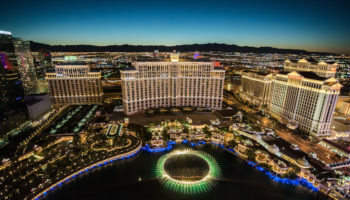 As they are home to a plethora of great museums, theaters and art galleries, Arizona’s cities are fun and friendly places to stop by and there is some great nightlife to boot. An incredible state to visit, Arizona’s stunning sights, natural wonders, and lively cities will live long in the memory. The winding, twisting cracks of Antelope Canyon are mesmerizing to wander around, as sunbeams enchantingly snake their way along the sandstone walls, illuminating and bathing the soft red tones in resplendent light. A beautiful sight to behold, the two different parts of Antelope Canyon are both well worth visiting; their distinctive features have led them to be respectively nicknamed ‘The Crack’ and ‘The Corkscrew’. While they each have their own unique look, in both parts the rock appears to be flowing, thanks to the shapes created by the erosion of the rock. Set in a Navajo Tribal Park, the Upper and Lower parts of Antelope Canyon are only accessible by guided tour. A historic town that is famous as the site of the Gunfight at the OK Corral, Tombstone was one of the last boomtowns. 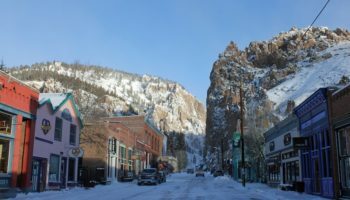 It was a rough place that attracted hardy prospectors, tough gunslingers and lawless gamblers who came to win their fortune in the silver mines. Very much a tourist trap, Tombstone is a fun place to visit in Arizona to learn about how the West was settled. 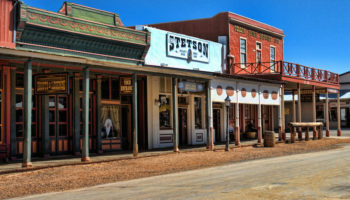 With the historic part of town perfectly preserved, step into the past and wander around its saloons or check out a reenactment performance of the gunfight. 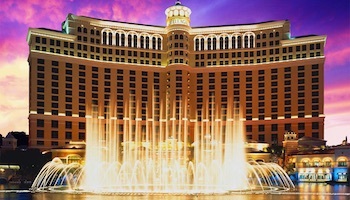 Very much geared towards tourism, there are lots of cheap eateries, souvenir shops, restaurants and hotels around town. Part of the Greater Phoenix Area, Scottsdale’s year-round warm weather means that it welcomes millions of visitors to its streets every year. 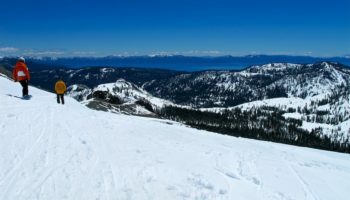 As such, there is a plethora of resorts, hotels, restaurants, and bars that cater to every budget. 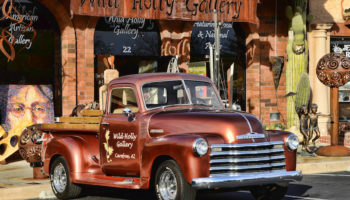 Marketing itself as ‘The West’s Most Western Town’, numerous historic sites are scattered around and festivals and events embracing this heritage are regularly held, with cowboy competitions and horse shows often featuring. With lots of great museums and art galleries on offer, Scottsdale has a thriving arts and cultural scene for visitors to enjoy. On top of all this, the city’s nightlife is pounding; there are loads of great nightclubs, swanky lounges and trendy bars for you to explore. Set in the middle of the desert in an area which is appropriately known as ‘the Valley of the Sun’, the state capital is undoubtedly the cultural and economic heart of the state. Bathed in glorious sunshine almost year-round, Phoenix attracts over sixteen million visitors every year. With lots of educational and entertaining museums on show, as well as some great theatres and shopping options, Phoenix has a lot going for it. There are a number of great restaurants and bars for visitors to check out. Sport lovers can watch any one of the city’s teams, while golfers will adore exploring the more than two hundred courses found in the town. One of the most visited national monuments in the country, Canyon De Chelly has been inhabited for over five thousand years. The canyon walls protect and shelter some amazing old buildings that date back to the days of the Ancestral Puebloans. Since the Navajos began calling it home in the 1700’s, the canyon has tragically been the site of numerous massacres throughout history, with both the Spanish and US Army having persecuted the Native Americans. Nowadays, the site is owned and run by the Navajo and there are a number of great trails and horseback tours available to visitors. While Spider Rock is the canyon’s most distinctive feature, Canyon De Chelly is lovely to gaze upon, and there are great views from along its rim. 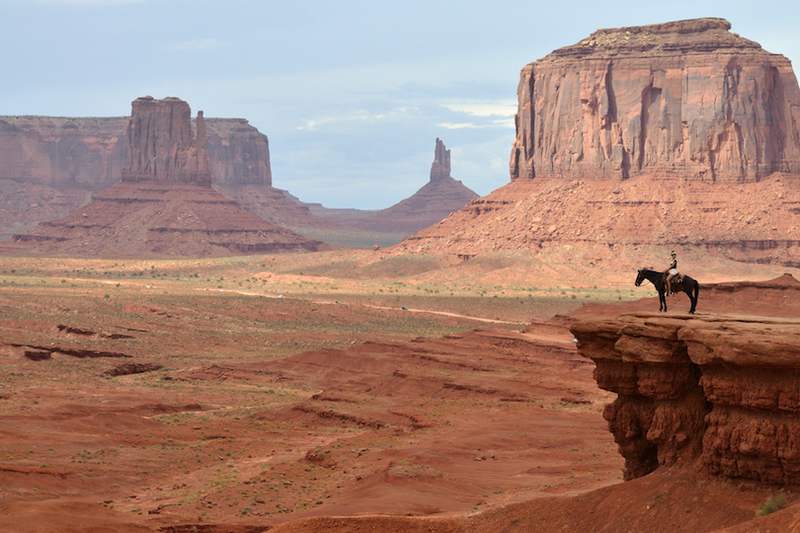 Iconic in look, Monument Valley’s incredible geological features have starred in TV commercials, featured in films and appeared in magazine ads. As such, they are instantly recognizable around the world. Surrounded by a desolate and featureless desert that stretches almost interminably, the massive sandstone buttes rear impressively towards the heavens, their vivid reds, and oranges standing out against the blue sky. Beautiful to behold, the ‘Valley Between the Rocks’ – as it was dubbed by the Navajo – is a must-see place when visiting Arizona. Home to the University of Arizona, this lively college town is a fun and friendly place to visit, with some great nightlife on offer. The second largest city in the state is a delightful mix of cultures that attest to its long and varied history. Its numerous museums and lively arts and culture scene showcase the city’s diversity. With great local shops on offer and fantastic restaurants and bars, the university’s large student body gives the town a youthful vibe. 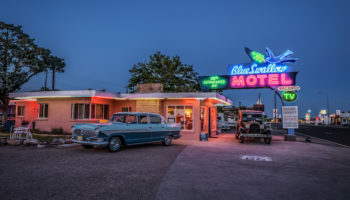 Lying in a valley and surrounded by arid mountains and cacti-filled plains, the brightly-colored buildings of the city make Tucson an attractive place, full of charm. 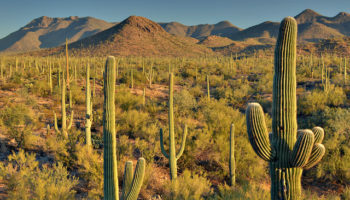 With amazing natural sights lying just outside of Tucson, most tourists to the city come to explore the mesmerizing Saguaro National Park or hike in the nearby Santa Caralina Mountains. Mostly consisting of endless desert, the huge Glen Canyon National Recreation Area surrounds the beautiful waters of Lake Powell. With over three thousand kilometers of shoreline, the dark waters of the lake are lined by beautiful red rock formations and the dramatic rock faces that plunge down into it. A popular place to go boating, five marinas are scattered about and there are loads of great water sports and activities for visitors to enjoy. 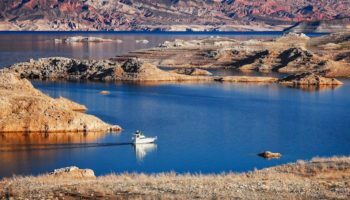 Whether it is kayaking and jet-skiing on Lake Powell’s waters, fishing along the shoreline, or hiking amidst the spectacular rock formations; this national recreation area has something for everyone. The desert scenery is otherworldly, with Paria Canyon and Rainbow Bridge being particularly memorable. Horseshoe Bend is another must-see area in Glen Canyon. Make sure to stop by for a couple of days; you won’t regret it! 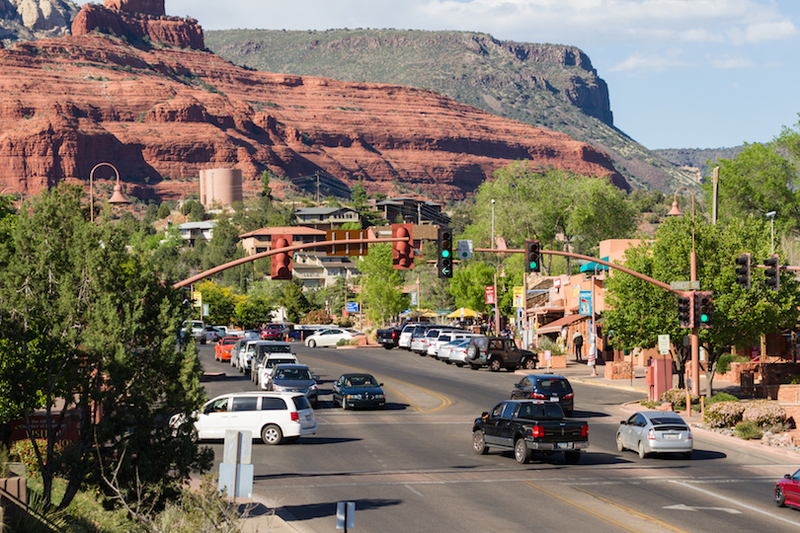 While the jaw-dropping red sandstone formations are the undoubted highlight of what Sedona has to offer, there is lots more to see and do; visitors to the area invariably come away astounded at what they have witnessed. 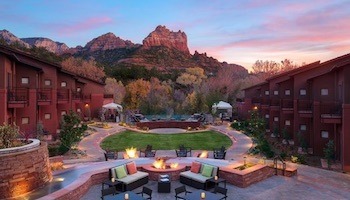 Nestled amid the beautiful rock formations, Sedona is considered sacred by Native Americans and people come here to heal themselves and seek spiritual enlightenment. There are many shops selling alternative medicines and lots of spas for visitors to relax in. An area of outstanding beauty, there are plenty of outdoor activities to take part in here; cycling or hiking in the canyons is an amazing experience, while swimming in the pristine waters will replenish your spirit. With lots of great restaurants on offer, as well as numerous art galleries to explore, the town can get a bit busy during summer, although the stunning scenery more than makes up for it. Renowned throughout the world, the Grand Canyon is awe-inspiring to visit and the beautiful panoramas on show are simply breathtaking. Gigantic in size and scale, the views from the edge of the canyon are incredible, as you look out over the rock face dropping away below you and the dramatic vista stretches towards the horizon. Descending into the canyon, the geological formations are mesmerizing. The arid and desolate terrain is peaceful yet picturesque and indeed a powerful place to explore. The ruddy hues of the canyon walls look beautiful in the light and the fossilized remains of plants and animals can be seen here and there. To gain a greater insight into how the Grand Canyon came to be, head to the Geology Museum or the Trail of Time exhibition, which will take you through the layers and landscapes that the canyon has to offer. 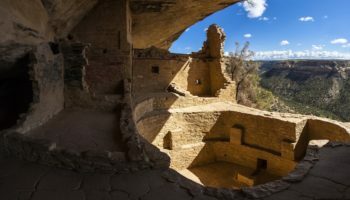 With Ancestral Puebloans having lived in and around the area for centuries, head to the Tusayan Ruin and Museum for an interesting look at their history and culture. 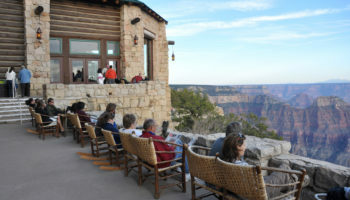 A simply incredible place, the Grand Canyon is undoubtedly the highlight of what Arizona has to offer.